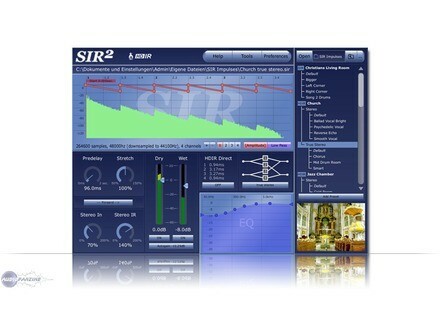 SIR2, Software convolution reverb from Knufi. 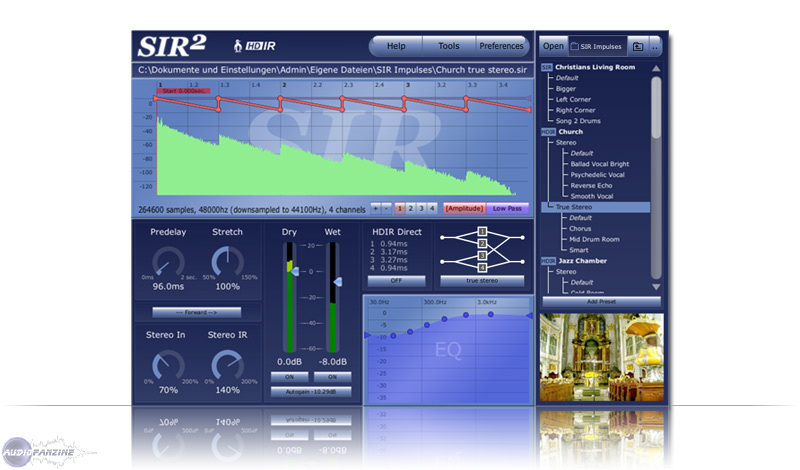 Christian Knufinke Software has updated SIR2 Reverb to version 2.4 for Windows VST (incl. 64-bit version) and Mac OS X VST/AU. Search functionality, if impulse file not found. Ability to store EQ-presets (right mouse-click into EQ-Envelope). Improved project-portability between different workstations (relative filename will be stored too, so if the default impulse-response location is different, the IR will be found). Please note: to use this function, the project has once to be saved with this new version. Support for "Ctrl+mouse click", for one-button mouse Macs.